We often find our landscapes looking a bit sad this time of year due to lower precipitation and colder temperatures. This year is especially rough on our plants because of the La Nina climate pattern, which forecasts drier than normal conditions here in the Southwest. There are many great plants that look wonderful year-round, even when conditions get a little tough. Some of our favorites are those of the agave species, which consistently provide interesting sculptural structure to our landscapes. Weber's Agave (Agave weberi) is one of the larger and faster growing agaves that is often seen around town. It has gray-green leaves and can reach a size of 5' tall by 5' wide. Weber's agave is very easy to take care of as it loves heat and is drought-tolerant. Pairs nicely with aloe and red yucca. Blue Glow Agave (Agave 'Blue Glow') is a more medium-sized agave that has stunning yellow and red-edged leaf margins. The coloration on the leaf margins actually makes this plant "glow" in the sunlight. One of the nice aspects of the Blue Glow Agave is that it does not produce pups, so it is convenient for tight spaces or containers. The Queen Victoria Agave (Agave victoriae-reginae) is a beautiful accent agave that has a tight rosette with a delicate white lining along its leaves - its structure resembles that of an artichoke. This is a slower growing agave, and will stay small at 12" tall by 18" wide. Because of its small size, plant the Queen Victoria Agave in areas that are more visible, and in groupings of three or more. Try it in a container! We're lucky to have one of the leading experts on agaves right here in our Tucson community, Greg Starr, who is the owner of Starr Nursery. 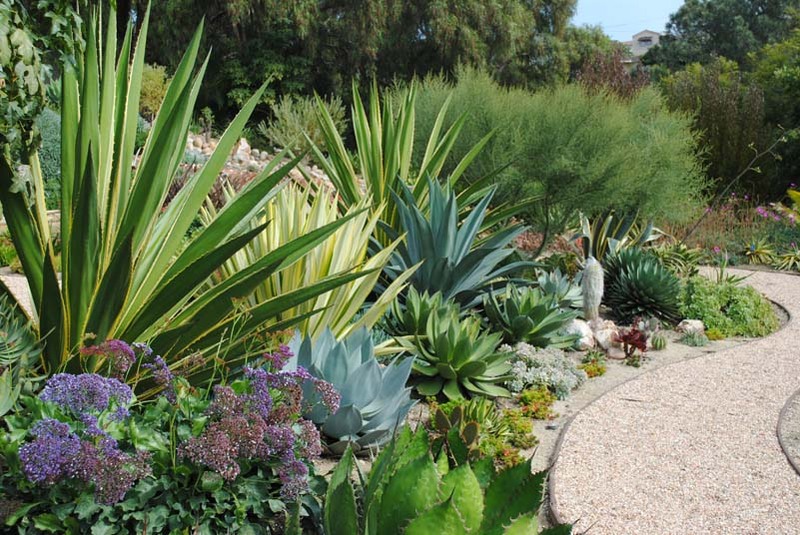 Follow Greg's blog for more information on the wild world of agaves.